In temper or cold climate the digester needs to be insulated because the Archea need to stay at the temperature optimum of about 37°C. There are several types of insulation arround. 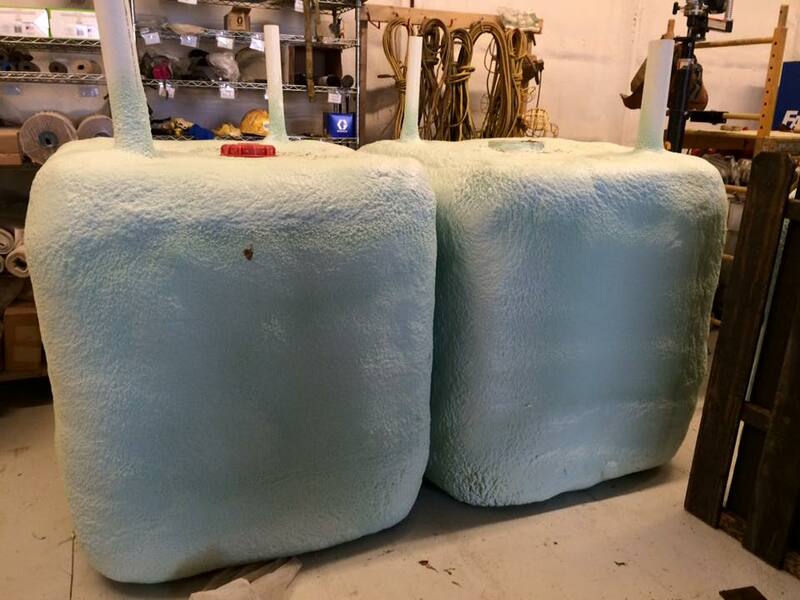 the following insulation types mostly or only applies for fixed body digesters. Spray foam is a simple type of insulation. All the digester is covered in it. The insulation value depends on the material used. There are natural materials around made from Soy. In addition to the spray foam SolarCities1 proved that adding a south facing window into the spray foam results in a better heat keeping. Straw bales are a very good natural insulation material. When sourced from within a 50 kilometers radius around your home / digester there is nearly no carbon footprint on it. With an R-Value of about 30 this natural material is perfect for a sustainable digester. 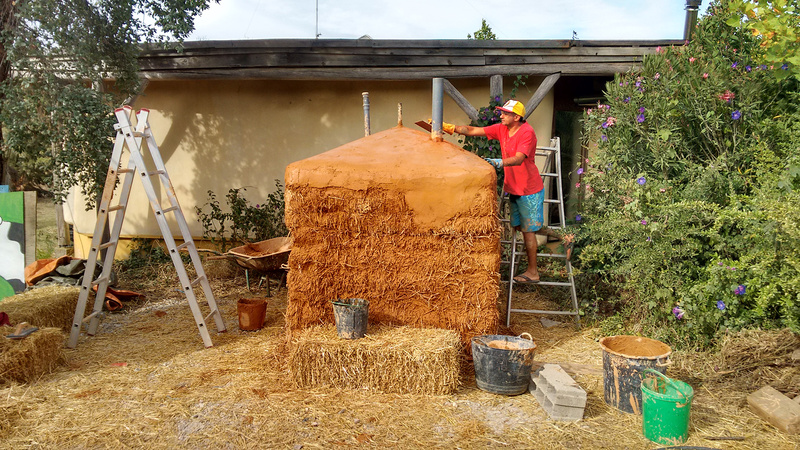 This technique is used in conjunction with an IBC digester. The IBC digester can be housed with Euro-Pallets. The upper side of the pallets becomes the outer side of the IBC. The space between the pallet and the IBC is filled with Lime Stabilised Soil. Styrofoam is a pretty well known insulation type. Hello Nick Chase. You might want to double check the K value for straw bale... Assuming you're using W/mK units, 30 is a very off-value. Maybe you meant R value? Hey, thanks for pointing that out. I meant R.